At the outset of his chapter “The Suicide of Thought,” Chesterton made the ironic observation that the modern world, in some ways, is far too good. Indeed, the modern world, as he saw it was “full of wild and wasted virtues,” an inevitable result when a religious scheme is shattered. When this happens, it is not only the vices that are let loose and create havoc. have been isolated from each other and are wondering alone. While Lewis’s diagnosis is similar, his prescription for moral health and integrity is significantly different. He prescribes a dogmatic belief in objective value and a commitment to the Tao as having absolute validity. Indeed, the principles of the Tao must be accepted as obviously rational, just as one takes the axioms of geometry to be self-evident. Most interesting, for our purposes, is that Lewis goes on to emphasize that his argument does not depend on theistic assumptions. Though acknowledging his own Christian convictions, he made it clear that he was not offering an indirect argument for Theism. He insisted that he was “simply arguing that if we are to have values at all we must accept the values of Practical Reason as having absolute validity: that any attempt, having become skeptical about these, to reintroduce value lower down on some supposedly more ‘realistic’ basis, is doomed.” While leaving open the possibility that morality implies a supernatural origin, Lewis was prepared to hold that morality can be sufficiently grounded for anyone who can see the obvious rationality of the principles of practical reason. without seam woven from the top throughout. Chesterton’s example here is particularly well chosen, for the dilemmas posed by egoism and altruism have been particularly troublesome for moral philosophers for over a century now, and remain vexing to this day. In what follows I want to argue, following Chesterton’s suggestion, that we need the resources not only of Theism to resolve these difficulties, but distinctively Christian doctrine as well, particularly the doctrine of heaven. Although the problem of egoism and altruism emerged much earlier, let us begin our examination of it with a landmark in moral philosophy by one of Chesterton’s contemporaries, namely, The Methods of Ethics by Henry Sidgwick, a work that went through seven editions between 1874 and 1907. Sidgwick identified as the greatest moral problem of his time what he called the “Dualism of Practical Reason.” This dualism arises because of a possible conflict between what may serve the happiness of a given individual, on the one hand, and what would serve the happiness of the larger universe of sentient beings. As a utilitarian, Sidgwick believes the ultimate good is happiness, or what he also calls desirable consciousness for sentient beings. Now even if this desire is doomed to disappointment, this gives us no reason to abandon morality according to Sidgwick, but it does mean we must give up the hope of making full rational sense of it. Our moral duty is still binding on us despite the fact that it makes no rational sense how this can be so when duty conflicts with self-interest. In his final paragraph, Sidgwick tentatively offers some brief epistemological reflections on whether we might be rationally justified in believing in the ultimate convergence of morality and self-interest even if this belief cannot claim philosophic certainty. But what is still clear at the end of the day is that the issue remains unresolved for him. Surely the consequences for how we live our lives and for society at large are significant indeed. The issues here are too pressing to be confined to the halls of academic debate, because they touch on all aspects of our common life. It is no surprise that these debates have worked their way into popular culture and conversation. A vivid instance of this occurred in the late 1980’s, a tumultuous time in American cultural history, during which a series of highly publicized scandals rocked a number of American institutions including government, business, the military and the church. Time magazine did a cover story on ethics the title of which was simply, “What’s Wrong.” In the concluding paragraph of the article, the author noted a profound ambivalence in the American soul, even as the nation aspired to restore some sense of moral integrity: “the longing for moral regeneration must constantly vie with an equally strong aspect of America’s national character, self indulgence. It is an inner tension that may animate political life for years to come.” The tension that the author notes is, of course, another variation on the unresolved problem Sidgwick bequeathed to his successors. Moreover, events since that time, only the most notorious of which involve the Clinton administration, have certainly vindicated the prediction that this tension would continue to animate political life for years to come. If Americans wish to strike a truer ethical balance, they may need to re-examine the values that society so seductively parades before them: a top job, political power, sexual allure, a penthouse or lakefront spread, a killing on the market. The real challenge would then become a redefinition of wants so that they serve society as well as self, defining a single ethic that guides means while it also achieves rightful ends. The question this obviously raises is what could motivate such a redefinition of wants. Some convincing account needs to be given of goods that clearly surpass things like top jobs, political power, sexual allure and so on. The question is what sort of goods would not only be of surpassing value but would also be such that in choosing them one is not forced to decide between one’s own ultimate interest and that of others. On this view, altruism has been stripped of any vestige of human self-interest and raised to truly heroic proportions. This account of altruism takes moral sacrifice far beyond anything that traditional moralists imagined could be required or reasonably expected of human beings. These thinkers demand that humans be prepared to make the ultimate sacrifice without the support of the sort of moral faith that more traditional moral philosophers, such as Kant, thought necessary to make sense of morality. By sharp contrast, there is another very different view of altruism current in contemporary thought, namely, that of some influential sociobiologists and evolutionary theorists. These thinkers attempt to account for altruism in terms of naturalistic evolution, where it poses an obvious problem. The problem stems from the notion of natural selection, which maintains that traits that reduce reproductive advantages will be eliminated. Altruism is a double-edged sword in this regard, for not only is it a disadvantage to those who practice it, but it is also an advantage for those who are on the receiving end of it. So it seems that those who are altruistic would sacrifice themselves out of existence in the unforgiving competition for survival and reproductive advantage. And yet, altruistic behavior of various kinds continues to be exhibited and highly admired in the human race. The question of how to account for this fact remains. Sociobiologists have developed a number of different theories to meet this challenge, some of which can explain at least certain forms of altruistic behavior with a fair degree of plausibility. It would take us too far afield to discuss these in detail, but one thing in particular is striking about some of these theories, namely, the role that deception plays in them. One such theory focuses on the recipients of altruistic behavior and suggests that behavior of that sort is produced by the skillful manipulation of those recipients. Altruistic actions such as adoption, organ donation, and even radical human sacrifice have been explained in terms of manipulation of various social instincts by those who benefit from such activity. In a similar vein, altruism is also explained as a matter of elaborate self-deception. This account begins with the recognition that reciprocity is central to human society and the further observation that the optimal position is to cheat the system for personal advantage when one can get away with it. Successful cheaters, however, must obviously avoid detection. And one way they can do this is to engage in impressive displays of sacrificial behavior. When cheaters are detected, ever more creative and costly exhibitions of altruism must be invented to persuade others of one’s sincerity. Here is where self-deception enters the picture. If we are to be successful in our self-serving manipulations, we first need to deceive ourselves into believing that we really do care about others and that morality rightly obligates us to do so. Otherwise, we would never treat others well enough to accomplish our purpose of manipulating them. Moreover, we will be most persuasive in this regard if our real intentions never enter our minds as conscious thoughts. Thus, our altruistic displays mask our real purposes not only from others but even from ourselves. Writing from a similar perspective, Michael Ruse and Edward O. Wilson maintain that nature has made us believe in a disinterested moral code according to which we are obligated to help others. “In short, to make us altruistic in the adaptive biological sense, our biology makes us altruistic in the more conventionally understood sense of acting on deeply held beliefs about right and wrong.” Since we have been wired by evolution to believe in moral obligation, we are not being insincere or hypocritical when we endorse it. It is because we consciously believe in morality in this sense that it works as well as it does and serves it reproductive purposes. But the element of deception remains, as the following remarks by Ruse and Wilson indicate. In an important sense, ethics as we understand it is an illusion fobbed of on us by our genes to get us to cooperate. It is without external grounding. Ethics is produced by evolution but not justified by it, because, like Macbeth’s dagger, it serves a powerful purpose without existing in substance. The illusion lies in the fact that we are naturally inclined to believe morality has an objective grounding and this illusion is what makes morality effective. The illusion also explains why ordinary people do not view morality merely as a means of survival, or the promotion of our genes, or worse, as an elaborate form of manipulation and self-advancement. Now then, let us turn to consider how distinctively Christian resources can help us save these wild and wasted virtues. To get right to the heart of the matter, let us note that Sidgwick’s “Dualism of Practical Reason,” which fossilized in the twentieth century as the conflict between egoism and altruism, is simply dissolved on Christian premises. Indeed, it is an impossible dilemma from a Christian standpoint. The fundamental reason for this is that the ultimate good for all persons is an eternal relationship with God. To enjoy this relationship, we must trust and obey God, even when it is costly and difficult. At the forefront of what God requires of us is that we love others selflessly, but paradoxically, our own self-interest is best served when we do so. We should distinguish then, between self-interest and selfishness. One is acting selfishly when he promotes his interests at the unfair expense of others. Christian morality, like most secular morality, would reject this sort of behavior as wrong. But there is nothing wrong with acting out of self-interest since all rational creatures naturally and inevitably desire their own happiness and well being. To love another person is to promote his happiness and well being. The same thing that makes it right to promote these for other persons makes it right to desire these for oneself as well. For all human beings share essentially the same nature and are alike valuable to God as creatures he loves. Learning to love selflessly is what transforms us and prepares us to enter the fellowship of the Trinity. So as we love in this fashion, we are being prepared to experience our own highest joy and satisfaction. Consequently, the conflict between acting for our own ultimate good and that of others simply cannot arise. But this assumes that the highest goods are not those mentioned above in the Time article, namely, things like a top job, political power, sexual allure, a lakefront spread, and so on. Recall that that article suggested that we needed a redefinition of our wants so that they would serve society as well as self. Well, I am arguing that the only sorts of goods that will fit the bill in a convincing fashion are heavenly ones. If naturalism is true, the goods of this life are the only ones available, and it is a Utopian dream to think that we can consistently act in such a way as to promote these goods both for ourselves and for others. Recognition of this reiterates the point that selfless actions are not easy on the Christian account of things. For it requires profound faith in God to resist the seductive temptation to believe that the only goods, or the most desirable ones, are those of this life. To sacrifice such goods for the sake of others is to trust that Trinity is ultimate reality, that giving is reciprocal and mutual in the end. Because Trinitarian love is the deepest reality, the notion of altruism as ultimate sacrifice with no expectation of compensation is at best a distortion of the aboriginal truth about reality. At worst, the notion that such utter disinterest represents a higher or more admirable standard is pagan hubris. As previously observed, this view is represented in current thought by such writers as Levinas and Derrida. Similar notions were expressed by the Stoics in antiquity, and in the modern period Kant is no doubt the high water mark of philosophers who worried that morality would be contaminated by any element of self-interest. While Kant believed we must postulate God and immortality to make rational sense of morality, as noted above, he insisted, incoherently in my view, that this could not affect our motivation without corrupting its moral value. Consider in this connection the book of Hebrews, which presents a theologically rich account of how Christ offered his life as a sacrifice to save us from our sins. In two passages particularly relevant to our current discussion we are informed not only that Christ yielded obedience to the one who could save him from death, but also that it was for the joy set before him that he endured the cross. Thus, the consummate sacrifice that gives meaning to all others according to the book of Hebrews gives no credence whatever to the pagan notion that the finality of death is necessary for ultimate sacrifice. To the contrary, the ultimate sacrifice in human history, the sacrifice that saves the world, was given in faith that joy will triumph over death. In commending Christ as a model in this regard, this passage is encouraging Christians who suffer for their faith to do so with confident hope that the God whose nature is love will reciprocate their costly obedience. Self-interest in this regard is a straightforward component of Christian moral motivation. Indeed, it is a rather obvious implication of the logic of Trinitarian belief. For we cannot harm our well being by obedience to God, just as we cannot promote it by selfishness. Indeed, there is no other way to be happy and to find the fulfillment we desire than by obedience to God. Thus, there is no parallel problem on the Christian view to the one posed for naturalism by those who choose, often successfully, to cheat the system. God cannot be deceived or cheated in any way, so moral parasites are completely out of the question on this view. It might make rational sense to think that cheating could successfully serve one’s ultimate well being on naturalistic assumptions, but that could never be the case given Christian beliefs. This observation further confirms the power of Christian theology to account not only for why morality is objectively binding upon us but also for why any reasonable person should want to obey it. It provides a rationally persuasive and winsome account of moral motivation that nothing in secular morality can emulate. Before concluding this section, let us return for a moment to Sidgwick and recall that he rejected the notion of theistic sanctions for morality, confident that morality could stand on its own. As Alasdair MacIntyre put it, he held that at the “foundation of moral thinking lie beliefs in statements for the truth of which no further reason can be given.”  MacIntyre goes on to argue that it was this sort of intuitionist view that undermined any claim to objectivity and prepared the way for the emotivism of twentieth century moral philosophy. Subsequent moral philosophy, not to mention the moral confusion of our culture, has surely shown that Sidgwick’s faith was not well founded and that morality needs a better grounding than he or his heirs have provided. 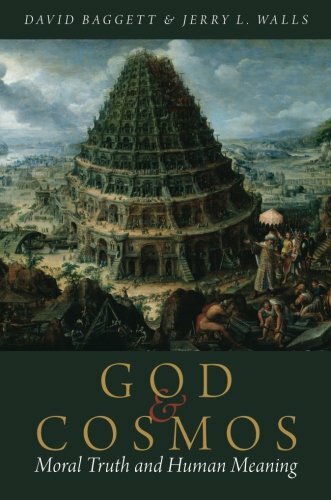 I have been arguing that the theism he rejected, particularly in its orthodox Christian forms, along with its teleological account of human nature and happiness remains the most viable resource for resolving the problems we have inherited from him. This comment points us to the very end of his book where he notes the irony that modernism is emancipated in seeking pleasure in this life, but ultimately despairing because it does not believe there is any final meaning in the universe. when joy is the fundamental thing in him, and grief the superficial. Christians follow one who obeyed God, even unto death, because of the joy set before him. Therein lies not only the foundation of morality and the salvation of wasted virtues, but our very humanity. G. K. Chesterton, Orthodoxy (New York: Image, 1959), 30. C. S. Lewis, The Abolition of Man (San Francisco: Harper Collins, 2001), 44. The Abolition of Man, 40; 73. The Abolition of Man, 49. For helpful historical analysis, see David W. Lutz, “The Emergence of the Dualism of Practical Reason in Post-Hobbesian British Moral Philosophy,” Ph.D. dissertation, The University of Notre Dame, 1994. Henry Sidgwick, The Methods of Ethics (Chicago: The University of Chicago Press, 1962), 404, note 1. The Methods of Ethics, 405. The Methods of Ethics, 507-508. John Rawls, A Theory of Justice (Cambridge, MA: Harvard University Press, 1971), 136. “The Emergence of the Dualism of Practical Reason in Post-Hobbesian British Moral Philosophy,” 8. Walter Shapiro, “What’s Wrong,” Time, May 25, 1987, 17. Ezra Bowen, “Looking to Its Roots,” Time, May 25, 1987, 29. John Milbank, “The Ethics of Self-Sacrifice,” First Things 91 (March 1999), 34. 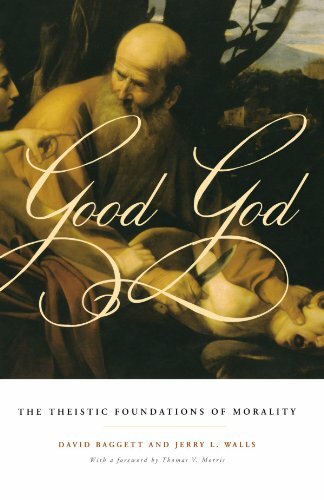 For a helpful discussion of these theories, see Jeffrey P. Schloss, “Evolutionary Accounts of Altruism & the Problem of Goodness by Design” in Mere Creation, ed. William B. Dembski (Downers Grove, Il: Intervarsity Press, 1999), 236-261. Michael Ruse and Edward O. Wilson, “The Evolution of Ethics,” in Religion and the Natural Sciences: The Range of Engagement, ed. James E. Huchingson (Fort Worth: Harcourt Brace Jovanovich, 1993), 310. “The Evolution of Ethics,” 310. “The Ethics of Self-Sacrifice,” 38. Alasdair MacIntyre, After Virtue, Second Edition (Notre Dame: University of Notre Dame Press, 1984), 65. Photo: "Heaven Above" by Jochemberends. CC License.